HBO’s Silicon valley is a an outstanding show that provides a fun insight on what happens behind the scene in the tech capital of the globe. The show basically wraps everything in a humorous outlook yet portrays what it’s like living under tech companies in the region. If you haven’t seen the episode 3 or 4 of season 4, we warn spoilers ahead. With all thanks to the show, there finally exists an app that allows you to distinguish between different objects and a hotdog. For everyone else the purpose of the Not Hotdog app is a little confusing but for the show’s fans, it’s a minor joke. So let’s dive in to see some more details on the app and what more does it have to offer. Fans of the show will be excited to know that the Not Hotdog app is a real deal and you can download it right now. While the app has provided a lot of laughs to viewers, it does not serve any other purpose but to identify objects as a hotdog or not hotdog. T.J Miller’s character in the show is Erlich Bachman who accidentally invested in an application to which he thought was linked to Oculus. In reality it was an app that contained recipes for making octopus. In addition to this, when the truth was finally brought to the table, the application was quickly directed to become the “Shazam of food”. 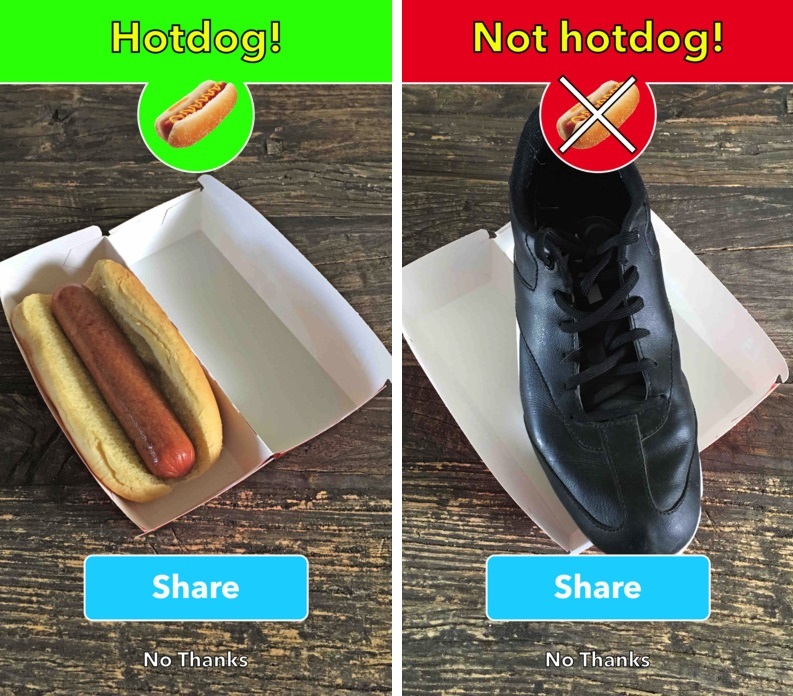 The end result was that the app found out whether the object placed is a hotdog or not. It then also notified the user about it. Even though the app has a restricted single purpose, it’s still a great app to have on your phone. Moreover, it serves its purpose right as it is very good at it. If you’re interested in trying it out for yourself, it is now available on the App Store as a free download. However, with all said and done, you have to ask why would you need the Not Hotdog app on your smartphone. If you’re a fan of the show, do check it out for yourself. There will probably be more to the story, so be sure to stay tuned in with us for more details. This is it for now, folks. What are your thoughts on the Not Hotdog app from the Silicon Valley show? Share your views in the comments section below.